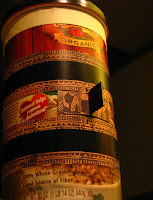 well, maybe the oatmeal container isn't that small or necessarily good, but i'm hoping the pinhole will be. and certainly the shutter is sweet! i decided my new year's resolution will be to experiment with paper negatives. using this most excellent resource (see esp. the shutter page) i built the camera last week and am now deciding what paper and developer i'd like to try. 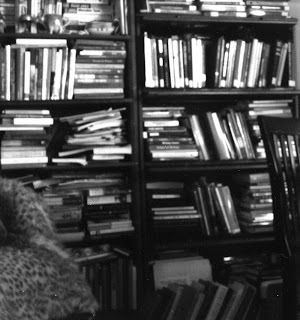 having been able to achieve with the pinhawk something of the sharpness i was hoping to achieve when i started experimenting with pinhole cameras, i decided to try the zero image again to see if using a more stable tripod, shooting indoors and ensuring the camera didn't move at all would help combat some of the softness i found with the zero image test roll. all i can say is thank goodness there weren't any non-reproducible images on the second roll. (well, technically there were a few that would be hard to restage--images i had hoped to include in an upcoming process presentation but it wasn't necessarily an integral part of the presentation. . .). only two of the images (see the first two shots below) came out. most of the negative strip was clear. i could see a shadows of images here and there and on a few of the frames i could make out something at the sides/top and bottom of each frame but for the most part, the negatives were a mess. unusable. as a matter of fact, i've never (not even when working with diana or holga) have i had this many unusable frames per roll. so if the bear and photo shots below had looked like the others, i might have reasoned that the developer time was wrong or that something went wrong inside the camera. i have no idea at this point how to make sense of what exactly happened, why or how to ensure it doesn't happen again. 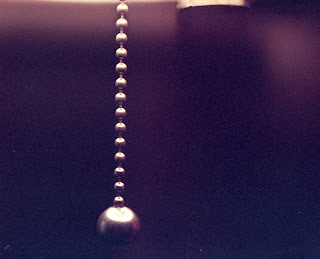 it could simply be a matter of miscalculating the exposure time but i used the same process as i did with the first roll. but here's another mystery about the zero one. 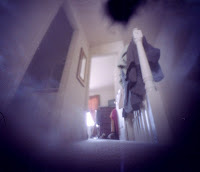 after i saw the negatives, i decided to see if something was blocking the pinhole. (again, that the last two images were the only two to look halfway "normal" makes me think that whatever happened had worked itself out by the end of the roll.) 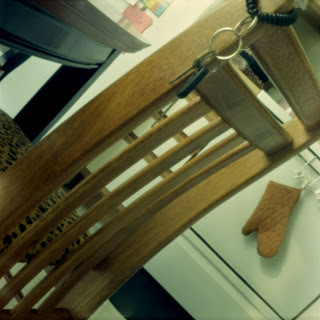 compared with the pinholes i've made, this one seems. . .i don't know, fuzzy? 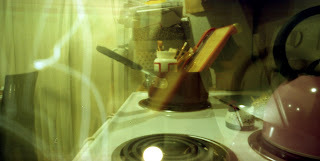 with the ones i've made if i hold them up to the light, the light comes sharply though the pinhole. not in this case. i'm not sure if that's a feature of zero one pinholes or if mine is shall we say, "unique." though i hadn't planned to use the zero image over the holidays, i really needed to see what would happen if i shot another roll of film in the camera. 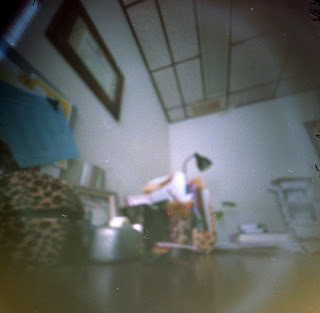 if the problem was the pinhole, it made sense that my exposure times would be wildly off. luckily, i had an expired roll of efke kb 400--this would allow for shorter exposure times and the fact that there were 24 exposures on the roll meant that i could shoot and develop a roll rather quickly. i calculated the exposure times as i had with the other two rolls and these were all fine--all there (see images beneath first two below). a bit over-exposed but i knew i had gone a bit long on some of the shots, hoping for more light-play/contrast then a normal exposure would afford. so yeah. not sure what happened with the other roll. and i'm still not certain if there's something up with the pinhole. i kept the camera steady for most of the shots but they are not nearly as sharp as the last pinhawk images. 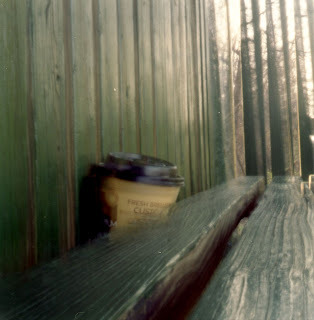 i understand that part of this has to do with the distance between the pinhole and film. and it's not that i'm not liking the zero image images, it's more a matter of being frustrated again by the lack of sharpness. i took the pinhawk down to the tracks in halethorpe on a very, very windy day. yipes. 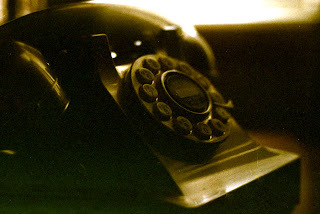 i wanted to shoot another roll that day, in part, because i was getting ready to dump the tetenal batch i'd been working with since oct 25 and figured i could maybe get one more roll out of it. more importantly, however, i wanted to test out the new shutter i had made for the pinhawk. i wanted to make sure that there were no problems with light leakage before i use the camera for images or events that aren't easily re-doable. the shutter worked well and any problems with the images were the result of the wind or camera shake. and then there's the fact that maybe i should have dumped the tetenal after i did the 22nd or 23rd roll. 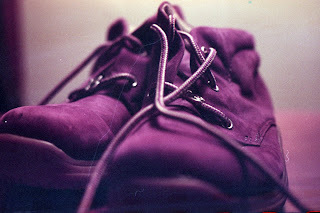 the colors here look decidedly x-pro--at least based on the results i've been getting with slide film. i had commented elsewhere how much i loved diy color developing and the tetenal kit has been really, really excellent in terms of costs and output--and it's been surprisingly easy to use. 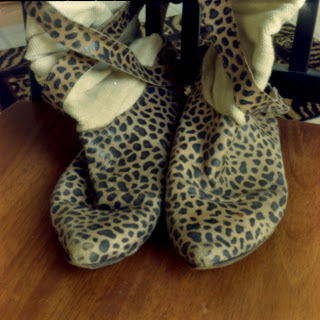 i started developing my own color film at the end of august and i recall how nervous i was to do this. how i'd get or keep the chemicals to 100 degrees was puzzling and seemed to require more thought, effort and pre-planning then i was used to. i was assured (again, by really generous and supportive folks on flickr) that this was doable--some suggested it was easier than b/w. as for the cost--i figure i'm at about a buck a roll. depending on how far i stretch the tetenal, maybe a little less per roll. i think that with shipping costs included, the 5L kit cost me about 80-90 bucks. for the sake of simpler math, round that up to 100 and that's 20 bucks a liter and i'm getting on average, 22 rolls per liter. as for getting and keeping chemicals at 100 degrees, the two dollar styrofoam cooler i got at the dollar store has been a lifesaver. i put the jugs of chemicals in there, fill it with 120 degree water and let the chemicals heat while i'm reeling up the film. i come down, scoop out some of the water, add more hot water, put the thermometer in the developer and place the tank in the cooler to get that warmed up. a few minutes later, i'm ready to go. 3 1/2 minutes for the dev, 4 for the bleach-fix (at least when the batch is still new-ish), 3 minute rinse, 1 minute stabilizer and the negs are ready to hang and dry. surprisingly quick and easy. almost makes b/w processing (especially caffenol devs) seem high-maintenance by contrast. and i think i'm definitely going through a pro-color phase at this point in time. there's something about the added information (in terms of color info) that really appeals to me right now. i'm hoping this will still be the case, this spring when i've more colorful matter to choose from. 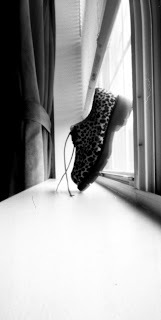 last spring i was still/only shooting digital and am especially eager to know spring (esp. my gerbers and gazanias) on/through film. finally! something of the sharpness and detail i was hoping for! 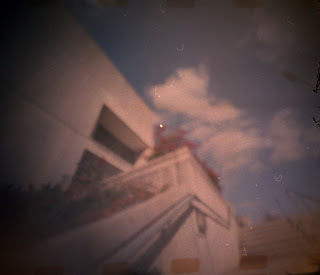 actually, i was all set up to do another test roll with the pinhawk this morning when i decided to swap out the pinhole. 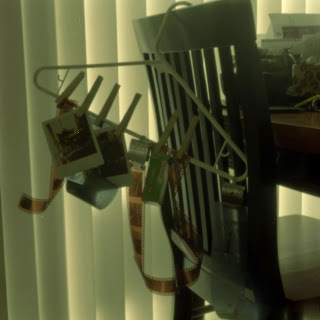 the camera was loaded with film and i had already taped it to the tripod so i had to undo and redo all that. 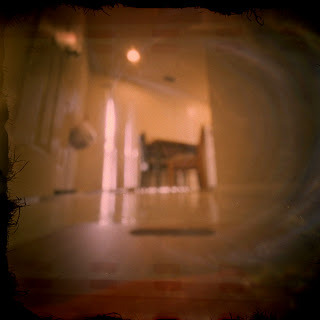 i had been using the pinhole from the original matchbox (duh--blurry likely begets blurry) and decided to make another--one that was slightly smaller and one that i took care to make sure that was sanded and sure to be round. 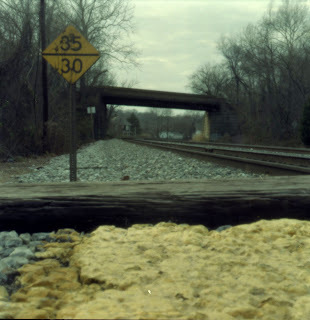 maybe my post about shooting digital vs. film angered the digital gods who, in turn, ensured that i will never take a pinhole image that isn't "soft" or blurry. 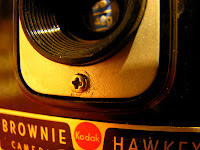 . .
with the help, support and advice of two (most generous) people on flickr (i.e., look here and here) i set about modifying one of my brownie hawkeye flash cameras. i had debated buying another zero image but can't currently justify the cost. 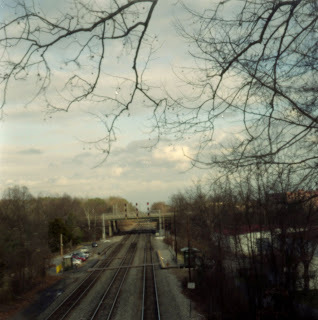 bottom line, i wanted to try a medium format pinhole. at the risk of sounding like a one trick (or one move) pony, this was the kind of sharpness and detail i was going for but i ended up getting much softer, blurrier results (see below. . . and then sigh with me). 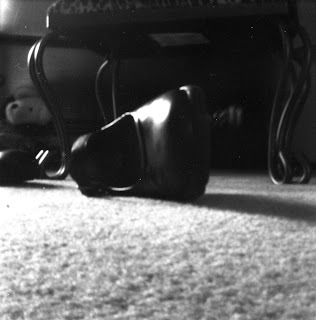 soft, blurry and funky is usually fine with me--as are scratched, watermarked and/or dusty negatives. as a matter of fact, as far as the funky goes, i often find myself trying to ensure that every camera i work with produces holga-esque images. which begs the question: why not just shoot always and everything with the holga? answer: cause that would be too easy--it's more fun to produce images that might have been taken with a holga but were not. 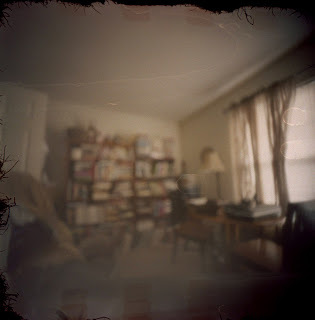 if anything, it could be my experience with digital cameras (and their results) that informs my goals when it comes to working with pinhole cameras. 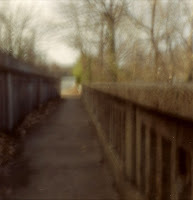 i was bummed that my matchbook images were much, much softer than others i had seen online (i.e., those that made me want to try pinhole photography in the first place), same goes for the images i took with the zero image and now the pinhawk. and i swear, i'm not spinning around with the camera, not shaking it, etc. while taking these shots. 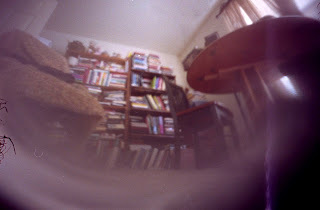 i'm working with a tripod and/or setting the camera on a stable surface but i do think that i might introduce some disruption at the start and end of each exposure (i.e., in the process of uncovering and covering the pinhole). 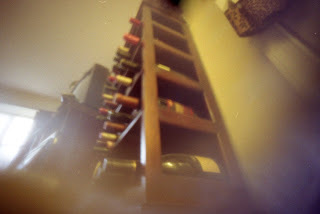 in this way, i figured that the shorter exposures would be blurrier than the 1/2 hour or longer exposures. though not the most patient of folks, i'm not against practicing in order to achieve better--or just different--results. 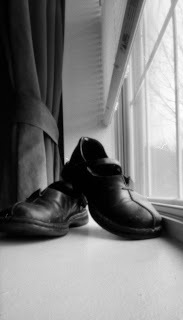 it's just been frustrating to try so many different things--size of pinhole, type of camera, distance from pinhole to film, etc.--and to end up feeling like i'm not making any kind of progress toward my goal. lp may well not dig this--my silent variation on her theme--but i spent some time this afternoon remediating (i.e., honoring, rivaling and revising) a tiny portion of the 13 minute process documentary she produced for my language and society class. in fact, if we were of the same generation, lp might find herself singing "look what [she] done to my song, ma" when (or if) she views this. i have to say, the original documentary was--is--incredible! lp used my office to conduct brief interviews with other members of the class. she asked them to describe what they were doing for their final projects, what they had already accomplished, what they had left to do, what their motives were, etc. lp then spent time shadowing one member of the class whose initials are also, ironically, lp. lp1 videotaped the processes lp2 employed while working on her final project, a complex piece of work entitled "the knowledge project." while the bulk of the documentary focuses on the similarities (but mainly the differences) between lp2's processes and motives and those of her colleagues, i found the last three or so minutes of the piece to be incredibly moving. backstory: when lp1 and i discussed the various types of footage she might collect for her project, we decided that she'd set up in my office with two cameras--my good videocamera and a flip video i borrowed from a colleague--leaving two other cameras free for classroom footage. one of these cameras (my flip video) was passed around from student to student (thereby freeing me up to take b/w stills with my yashica d) during the class session during which lp was conducting interviews in my office. 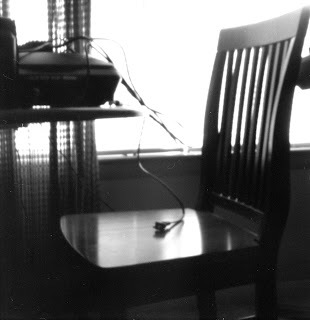 before class began, my old sony cam was set up in the corner of the classroom where it just sat there, largely forgotten, collecting stuff. and it was this stuff lp1 sped up and featured at the end of her documentary. looking for a good excuse to do something with premiere pro i decided to take the last few minutes of lp1's video and insert into that footage the b/w stills i had taken that day. sadly missing from this version is lp1's most excellent soundtrack. . .
when testing a new camera or technique, i find it really helpful to shoot the same things to provide a point of comparison. bracketing off the fact that lighting conditions, angle of the shot, overall composition, etc. contribute to the overall impact of the shot, it would be helpful to be able to review the difference between using this or that camera, this or that technique. i might have created instead (or as well) a set for the rusted-out tricycle, one for the bench in the woods, one for the kitchen table, etc. in this way, the bike set would have contained images of the tricyle taken with the flipped lens bhf, ikoflex, holga, and so on. 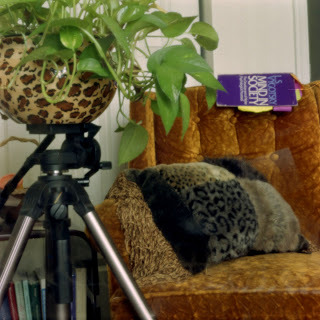 i had thought briefly about doing this when i started shooting film (as this gave me a point of comparison between digital and film) but i never committed to it mainly because i kept thinking (after acquirng each new camera) "okay, this is it. 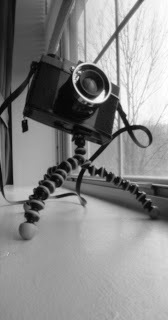 i will stop testing new cameras now." 20 or 30 cameras and techniques later, ah well. i do consider, every now and then, taking the time to go back through the test rolls and creating these sets but it seems like soooo much work. 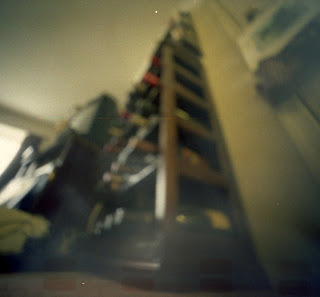 in short, i really regret not doing this when i got the holga. 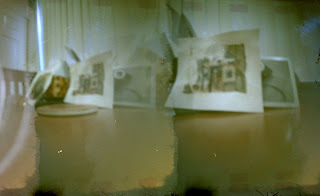 so, in the spirit of attempting to do this now (at least with pinhole comparisons), here are study shots--the first two were taken with my matchbook pinhole (with two different pinhole sizes) and the final image was taken with the zero image pinhole. i love this camera. that's all. the zero image arrived today and i celebrated by taking out the zenit em, loading the 12 exposure roll of film that came with my bratz cam and trying out a bleach bypass process. 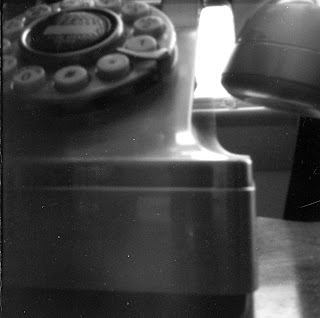 the tetenal c 41 batch is almost totally cashed out at this point (i.e., it's been more than a month since i mixed it and have developed 19 rolls of film with it), so the process involved 3:45 for dev time, 1:00 for blix, 4:00 for b/w fixer, 5:00 wash and 1:00 for stabilizer. it's still too soon to know what i think, if i like the look of bleach bypassed images. i guess i'm eager to try this again with a fresh batch of tetenal. if not a charm, at least a little bit better. 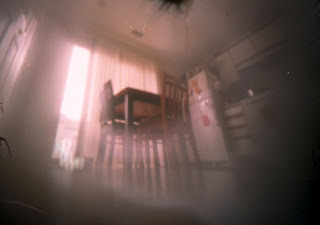 . .
"while waiting for the new camera to arrive, i've been tempted to try yet again with this one--well, after creating a new, still smaller-sized pinhole. the main deterrent to this (besides having a book to write and 30-some student projects to grade and not having anything with which to make a smaller size pinhole) is the time involved with carefully uptaping and then carefully retaping the mechanism"
that i went to the shelf where i had placed my matchbook pinhole and began taking it apart, deciding that i would, in fact, attempt to create a new (and i hoped still-smaller) pinhole and then began the process of taping things back up again. 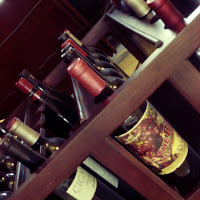 i should know better than to think that i won't end up doing what i insist that i would not or should not end up doing. aside from the presence of what i call "the hangy" thing (see top-right side of image left), i was most pleasantly surprised with test roll three. 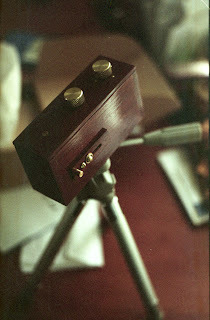 i almost found myself regretting (albeit briefly) my decision to pay someone else to make a pinhole for me. as for the "hangy" thing: as the negatives were drying, i thought that the mark might indicate a light leak but noticed that the marks on the negatives were all white. it wasn't till i took the box apart that i realized that a poorly-cut portion of the cardboard must have been pulled down when i loaded the last roll of film. 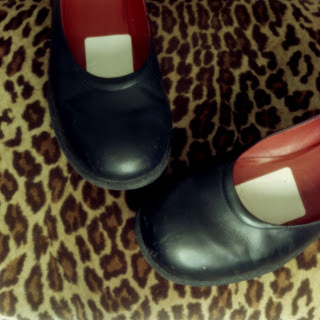 i had to do more cropping than i would have liked to do with these images but, overall, i was pleased with the increased sharpness of images (much less fuzzy and cartoon-like) and i had far fewer exposure problems than i had with the first two rolls. 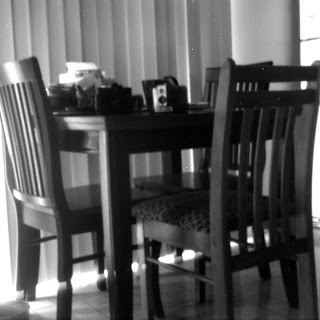 --as a point of comparison, i have paired below an image from the first test roll with a "re-do" shot taken yesterday. having gotten a good chunk of the grading done, i began another pinhole project yesterday morning about which i will say (perhaps unwisely? ): i am not even close to being ready to shoot a test roll with this camera yet. i had purchased some months ago an agfa ansco shur-shot box camera that seemed to be in pretty amazing shape when i received it. problem was that the shutter broke before i could put film in it. 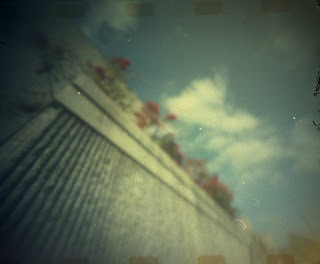 (perhaps a good thing as i am glad not to have wasted the roll of film.) i took the camera apart to see what, if anything, might be done to get the shutter working again, realized that there was nothing i could do at that point in time, so i put it in a box marked "if/when you learn more about how shutters work, open this." 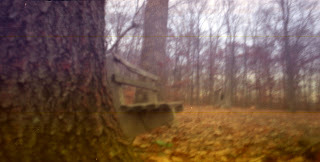 i was really bummed about the camera as it has the ability to take half-frame shots--something i had been hoping to try. though i've not learned much about shutter-fixin' in the past few months, i have found a new appreciation for black boxes and wondered what might be involved with making this camera into a pinhole camera. i did a search on flickr which lead me to a couple of things ansco/pinhole related (though it's not the exact camera i have, i found this and this) and then spent most of the morning taking my camera apart, thinking through what i'd need to do, where the pinhole should be (i.e., in front of the shutter or behind), etc. i'd never had the occasion to attempt using 35mm with the shur-shot since the shutter went kaput shortly after arriving. otherwise put, if i knew i could, in fact, run 35mm through this camera, it might make testing it more appealing and certainly more cost-efficient. as it is, i'm thinking this one will have to wait till i've done more thinking and researching. 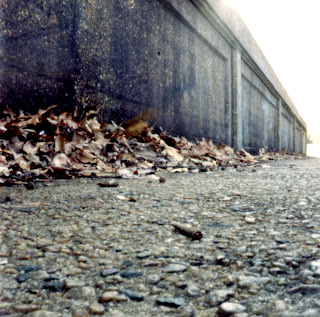 cause i definitely didn't have beginner's luck with my pinhole adventure and after this second-go round, i'm thinking that this is the way i'll be going in the near future. 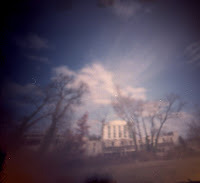 i was feeling decidedly hopeful about the second test roll since i had (at least from my perspective) made the second pinhole at least 1/2 the size of the first. since the images on the first test roll were all over-exposed, i kept with the same exposure/time guide, thinking the images on the second roll would be closer to normal. no dice. problem was that i took a good number of shots outside, around campus, and had little idea of what i was doing since the first test shots were all indoors. so much for controlling one's variables. 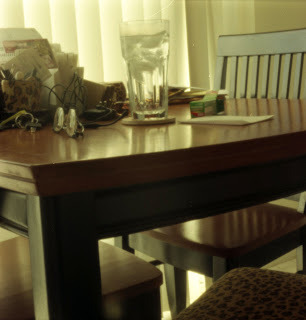 and i meant to do more by way of bracketing shots with the second roll but, well, ended up not doing that either. 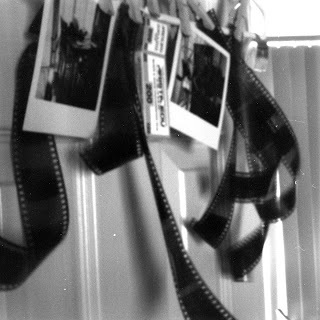 while i love, love, love the perspective one can get with the matchbook pinhole (reason enough to keep revamping and retesting my diy matchbook), i can't help but feel disappointed with what i consider to be the rather cartoon-like quality of the first and second test rolls. i thank goodness i shot color with these since it provides hints to what the image is supposed to be of--more or less. 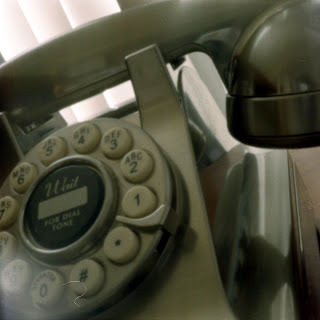 while waiting for the new camera to arrive, i've been tempted to try yet again with this one--well, after creating a new, still smaller-sized pinhole. the main deterrent to this (besides having a book to write and 30-some student projects to grade and not having anything with which to make a smaller size pinhole) is the time involved with carefully uptaping and then carefully retaping the mechanism. and starting it all again from scratch, cutting up another matchbook, etc. is simply out of the question. but who knows--if it turns out that tomorrow or the next day is one of those crazy sky days (i.e., bright blue with clouds), i might be tempted to get out the electrical tape and load another test roll.